Enjoy two new exclusive wines from Napa Valley’s Juslyn Vineyards. Following the success of McConnell Golf's first exclusive wine offering, two new vintages arrive in March. Juslyn Vineyard’s incredible 2015 Cabernet Sauvignon received 97 points from Robert Parker’s Wine Advocate and sold out in six months — and McConnell Golf members will now enjoy the very last of it. Additionally, an exciting 2018 Sauvignon Blanc is available; Juslyn’s first from Sonoma County. We caught up with Juslyn Vineyard’s Partner and General Manager Stephanie DeMasi for details on the new pours. Casey Griffith: We’re thrilled to be extending our partnership with Juslyn! Tell me more about the new wines. Stephanie Demasi: The 2015 Cabernet Sauvignon is sensational. It’s a true Cabernet Sauvignon off of Spring Mountain. To have a wine shine so bright in its youth is a rare achievement of nature. The 2018 Sauvignon Blanc was sourced from the Dry Creek Valley in Sonoma County. The fruit is exotic and fresh, less mellow than the riper Napa Sauvignon Blanc we are accustomed to producing. The wine is exhilarating and versatile. CG: As a relatively novice wine drinker, what will I like about the wines? 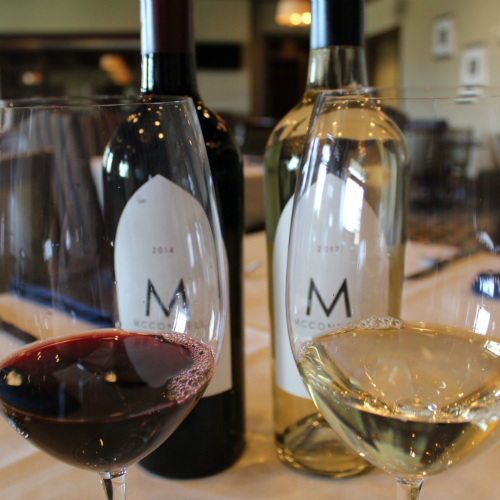 SD: Both of these wines are incredibly approachable — just pop and pour! They offer a bounty of fruit and great acidity, which allows them to linger on the tongue for some time. CG: I’m already thinking about my favorite menu items to try these with. Can you offer pairing suggestions? SD: A mixed grill of white and red meat can take on the 2015 Cabernet Sauvignon. It can also welcome pesto pasta salad with pecorino and artichokes — break all the rules! I love pairing curry with the 2018 Sauvignon Blanc — super zippy and fresh — or try it with arugula salad and citrus, poached salmon with lemon and roasted potatoes, or a cheese course with dried fruit. Several McConnell courses have converted from bentgrass to dwarf Bermuda grass greens. If grown and maintained in the right circumstances, dwarf Bermuda greens offer a better-quality putting surface and consistent greens speed for more days with less inputs, such as fertilizers, growth regulators, and water. 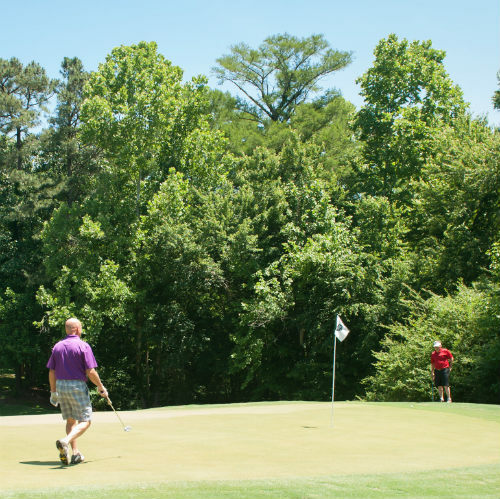 Factors to consider when making the switch include course location, history of the current grass, weather, number of quality play days, play trends, water quality, amount of sun and shade, and the severity of the greens’ surface. So why don’t we convert all of our greens to Bermuda grass? Most of our courses experience hot summers and cold winters, for which there is no perfect grass. Many courses across the Carolinas that convert to Bermuda grass suffer from winter kill caused by extreme cold. In the Carolinas, it’s too hot in the summer for successful bentgrass, and in the winter, we have to cover the Bermuda grass to protect it from the cold and the threat of winter kill. We continue to keep up with the current research on newer cultivars of more heat-tolerant bentgrass and more cold-tolerant dwarf Bermuda grass. The 2018 Wyndham champ reflects on his time in Greensboro. 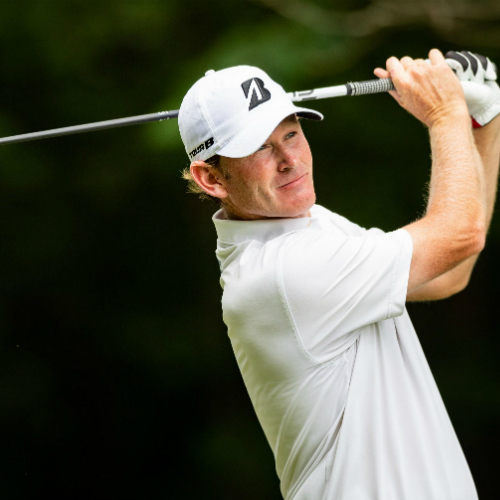 When Brandt Snedeker Teed off in the early morning on Thursday at the 2018 Wyndham Championship, there was no indication that record books would get a new chapter. But three and a half hours later, when his second shot on the 6th — his 15th hole of the day — tore through the front lip of the hole and wedged itself at the bottom, possibilities started to emerge. Two more birdies and Brandt Snedeker would join the most coveted group in PGA TOUR history. A birdie at the seventh hole would leave him two more chances. When a six-foot attempt went begging at the eighth hole, Brandt stood at 10-under on the round with one to go. His approach shot settled on the front right fringe some 16 feet below the hole. When the putt slammed into the back of the hole, a roar erupted. Brandt had shot just the 10th sub-60 round in PGA TOUR history. Brandt would shoot 67, 68, and close with 65 to win his second Wyndham Championship, and the ninth win of his PGA TOUR career. His first win on the PGA TOUR was also the Wyndham Championship, when he capped a Rookie of the Year season with a win at Forest Oaks in 2007. With his 2018 win, Brandt joins his friend Davis Love as the only two players who have won at both Forest Oaks and Sedgefield. Brandt has become a fan favorite over the years at the Wyndham Championship, and his 2018 win was popular among fans. It was also a popular win in the Wyndham board room. Brandt has been a brand ambassador for Wyndham since that 2007 win. When Brandt returns to Greensboro this summer, there’s a good chance that the competition will be stiff. 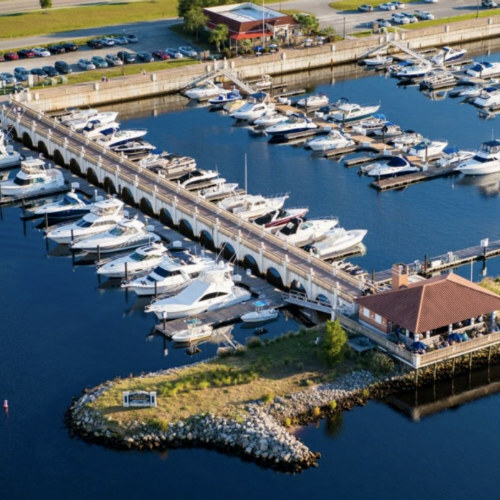 The Wyndham Championship is the final regular season event on the PGA TOUR calendar leading into the FedExCup. Following the Wyndham, the top-10 players in FedExCup points will enjoy a prize pool of $10 million, with $2 million going to the player who enters the playoffs as the number-one seed. “It immediately puts the tournament on some guys’ radar,” said Brandt. “If you have a chance to finish first or to slip into the top-10, you have to consider playing the Wyndham. We are all getting used to the new schedule, but I think that you will definitely see a difference. McConnell Golf is proud to support the athletes and the organization. This past year, the warm smiles and genuine hearts of Special Olympics athletes brought McConnell Golf properties together. 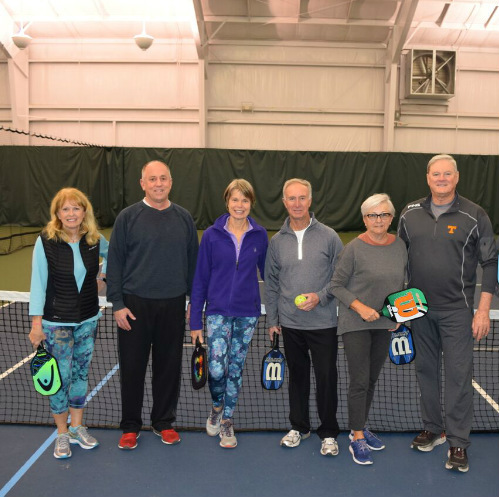 Director of Tennis Operations Kyle Thortsen and The Country Club at Wakefield Plantation hosted the Wake County Special Olympics team at the tennis complex. Together, club staff and junior players led practices, games, and lessons to help Special Olympics athletes prepare for state competitions. 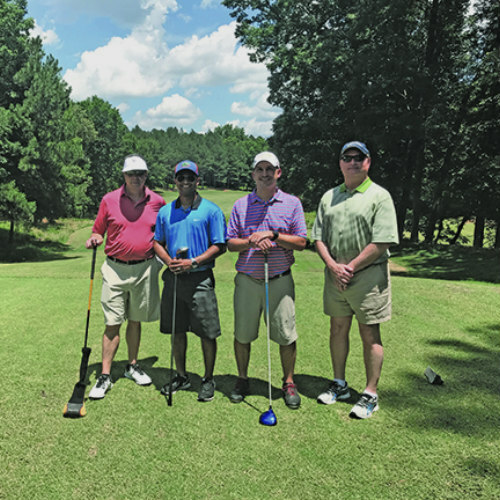 Also at Wakefield, Director of Golf Adam McLaughlin hosted an invitational tournament at the nine-hole Plantation Course. It allowed athletes that did not get a chance to compete in the state championship an opportunity to play in a local tournament. “We are humbled by their courage, contagious spirit, and eagerness to get better as individuals and teams alongside their family and their loved ones,” says Michael Thomas, club manager at Wakefield. Over the past six years, members and staff from Treyburn CC, Wakefield, and Raleigh CC have volunteered for the Track and Field Spring Games in Raleigh. They’ve taken on roles to announce winners, organize races, and cheer on athletes throughout the games. 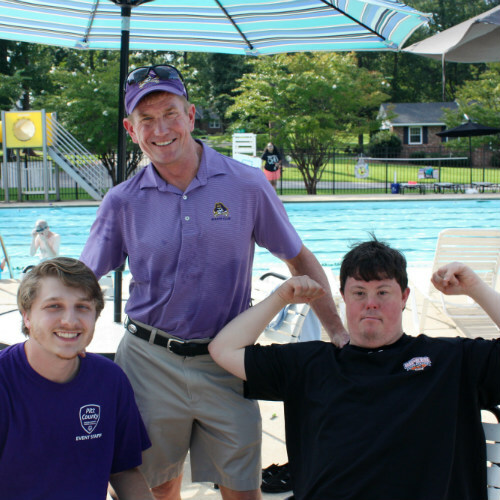 Nearby, Brook Valley CC welcomed all Special Olympic athletes from Greenville County to enjoy an end-of-year pool party celebration. East Carolina University Assistant Athletics Director Matt Maloney was in attendance and shared a little about the celebration with Brian Bailey of WNCT News. “I started 21 years ago coaching these wonderful friends ... a few years later, we wanted to celebrate all the good things they do not only in the pool but also in the community,” said Maloney. On a personal level, I have been involved with the Special Olympics in every stage of my life and am so proud of our clubs for continuing to engage with our community. I believe lending our facilities, our resources, and our time deepens our relationships with those we support and teaches us all of the power of giving.